PRODUCT DESCRIPTION: Small hand held device which is designed to help remove ticks from people and pets safely and completely. 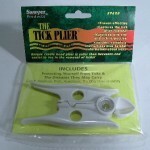 They feature a unique design which is able to get under the tick and as close to the skin of the host animal. 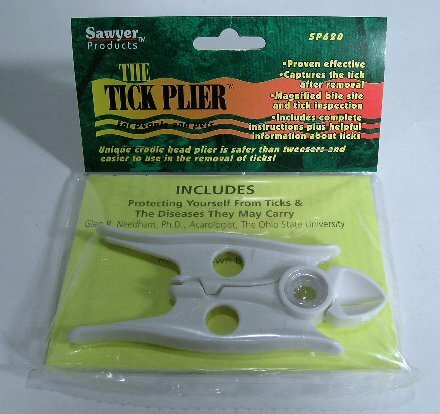 Once clamped under the tick, you are able to gently pull which will cause the tick to dislodge completely and without breaking. Once removed, use the included 20X lens for careful inspection of the wound to insure all parts of the tick are out. WHERE TO USE IT: On people and pets.